Dish Network is a direct-broadcast satellite service provider in the United States. The company offers satellite TV, interactive TV services, and audio programming to both residential and commercial customers across the country. Jim DeFranco and Charlie Ergen were the founders of Dish Network. The company was founded in 1980, and it has corporate offices in Englewood, Colorado. Dish Network has more than 18,000 employees who help them provide quality services and products to millions of customers. The company’s CEO is Erik Carlson, who runs the company together with its Chairman, Charlie Ergen. In terms of work benefits, their employees receive amazing offers coupled with competitive salaries. Qualified associates enjoy 401(k) retirement plans, employee stock acquisition plans, healthcare plans, and many more. However, all employees receive discounts on company’s services and products. People love working at this company because they feel that the management really cares for their employees. Aside from decent salary and great employee benefits, the company provides them a safe and healthy workplace where unity always exists. How old do you have to be to work at Dish Network? Applicants for entry-level positions must be 18 years old and above. Also, they should have college or high school diploma or equivalent. Candidates for technical and managerial positions must have related work experiences. Customer Service Representatives: Customer service representatives are friendly employees who typically manage customer complaints and concerns. Their job involves frequent interaction with customers and addressing simple to complex issues. Therefore, CSRs must have excellent communication and problem-solving skills. If there are no issues to settle, customer service representatives are busy with promoting new products or services to clients. Sales Associates: The obligations of sales associates include serving the customers and providing information on a product or service. They may offer help to people with questions or concerns too. Sales associates must have good communication skills as they interact more with clients. Likewise, they are expected to show professionalism when dealing with prospects and regular customers. Installation Managers: They supervise the recruitment process including the training requirements for installation employees. Their job involves working with high profile accounts each day and dealing with various issues ranging from simple to the more complex. They facilitate and support new business opportunities and strategies. Installation managers should have good leadership skills as they oversee other employees. Satellite Technicians: They install, repair, and maintain the satellite products. Their job typically involves troubleshooting different issues, maximizing company’s services, resolving customer complaints, and handling electrical tools. Satellite technicians are experts in electronic technology, and they work mostly in the field or within a 20-floor building. Having excellent troubleshooting and problem-solving skills are crucial to their job. Quality Assurance Specialists: They conduct quality assurance inspections for all finished products while assuring that the company standards are met. At the same time, they make sure that the integrity of those products is preserved. They also help other management employees to resolve issues that are related to production, quality, and efficiency. HR Representatives: Their job includes hiring new employees and helping the company improve employee productivity, retention, and morale. They manage the orientation for newly hired workers including the ongoing training and development programs for regular employees. Additionally, they handle other tasks like responding to workplace complaints and implementing different employment-related programs. Operations Analysts: They identify the problems and defects in business operations and models. Their job frequently involves conducting research, investigating workflows or business procedures, and making suggestions on changes that could improve operations. They also ensure that the company complies with industry regulations and standards. Hence, operations analysts help a lot in improving the company’s productivity and profit-making procedures. Inside Sales Account Managers: Their mission is to achieve the quarterly and yearly goals through managing territories using Web 2.0 technologies and the phone. Inside sales account managers create direct relationships with end-user groups on bigger opportunities. They also deal with a few channel partners and influence them to maximize the profit opportunities in their territories. Inventory Specialists: Inventory specialists help in managing a company’s inventory control through product/supply monitoring and actual inventory and sales records comparison. Also, they keep records of store inventories and create inventory reports for store managers. Their job needs them to be proficient in using inventory software while being knowledgeable about the company’s products. General Managers: They supervise the lower-level managers or even a local office or department in a company. They manage both the recruitment of new employees and the educational programs for low-level managers. Usually, general managers create incentive programs to motivate all employees within the department or office they oversee. These programs involve evaluating the department’s productivity and efficiency. 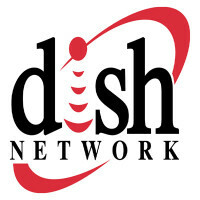 Applicants should visit the company’s website to discover the latest job openings offered by Dish Network. Checking the website’s careers section is the first step to take when applying for a rewarding job from this company. Interested job seekers are encouraged to apply online. During the online recruitment process, applicants are required to finish the online assessment that will measure their abilities and aptitude. Moreover, candidates should fill out the Internet-based application form to continue. All entries in the form must be correct, clear, and accurate. They should fill out the form with care because incorrect entries will lead them to disqualification. Job applicants may also upload their resume to autofill online-based applications, which can hasten the process. Also, the resume must contain correct and accurate information just like the application form. Qualified candidates will be contacted by the HR representative who will invite them for the interview. The best way to prepare for this is to be confident inside and out by dressing up properly and always show eagerness. The company’s culture embraces curiosity, pride, and adventure. They foster a culture and workplace that promotes growth and puts their employees on top of everything. Team members are inquisitive with work ethics, drive, and discipline that help them succeed. To provide their valued customers with much better service, the company is currently preparing to work in partnership with Google Assistant. This collaboration will bring multi-language voice control for hands-free television experience. Dish Network is known for providing premium quality products and services. Customers will enjoy offer free installation, guaranteed signal reliability, 24/7 services, and nationwide coverage. Also, they can get 190 channels for $59.00 with Smart DVD and free voice remote. Also, the company loves giving back to the community. They support programs that promote the environmental footprint & cost reduction. These programs are helping them keep their services affordable. They also support members of their staff who manage different charitable activities. 1 How old do you have to be to work at Dish Network?